Remembrance springs from the manner in which the British People remember those who died in wars fought by our nation in the 20th century. In the Great War of 1914-18 Britain and her Empire sustained 1,104,890 fallen and the outpouring of public grief that followed seared the national consciousness and crystallised into formalised modes of remembrance. 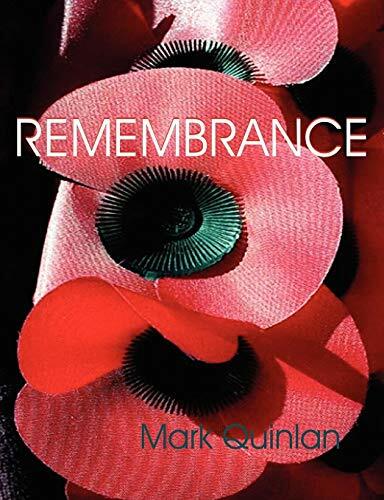 This book explains the story of the erection of the Cenotaph in Whitehall, the origins of the two minutes' silence and the evolution of the National Ceremony that is held at the Cenotaph each Remembrance Sunday. This study explores the story of the Unknown Warrior, the work of the Commonwealth War Graves Commission, the tasks of the Ministry of Defence's Service Casualty Branches, the origins and role of the Royal British Legion and its annual Poppy Appeal and the work of the Service Museums. This study also includes brief biographies of all the key figures in the story.